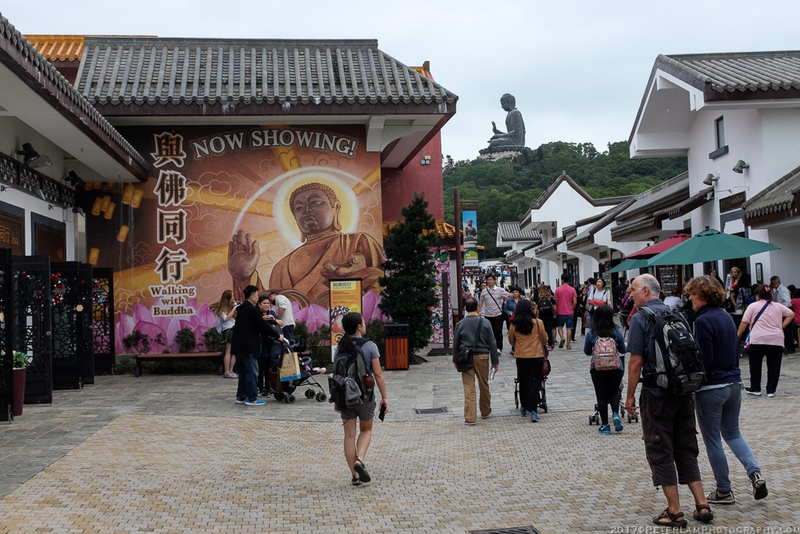 Besides its beautiful natural setting, a primary attraction of Lantau Island is the Tian Tan Buddha at Ngong Ping, affectionately known as the Big Buddha. 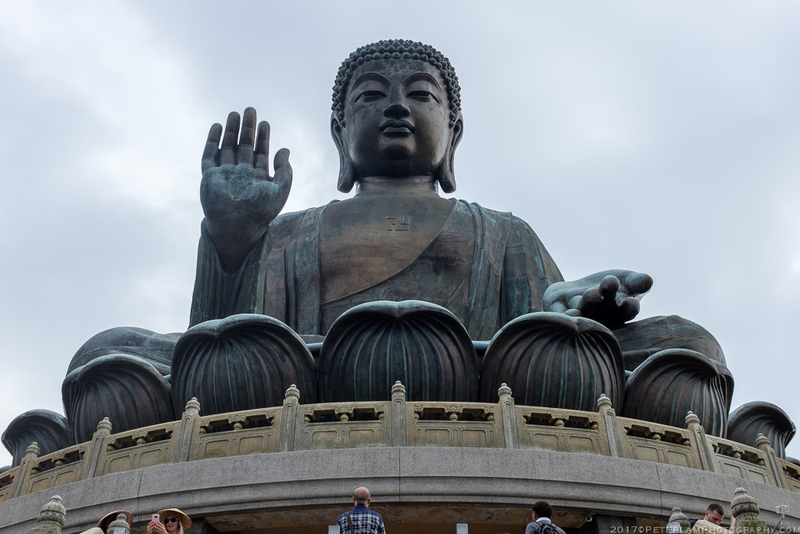 This Hong Kong landmark is the worlds largest outdoor seated Buddha. 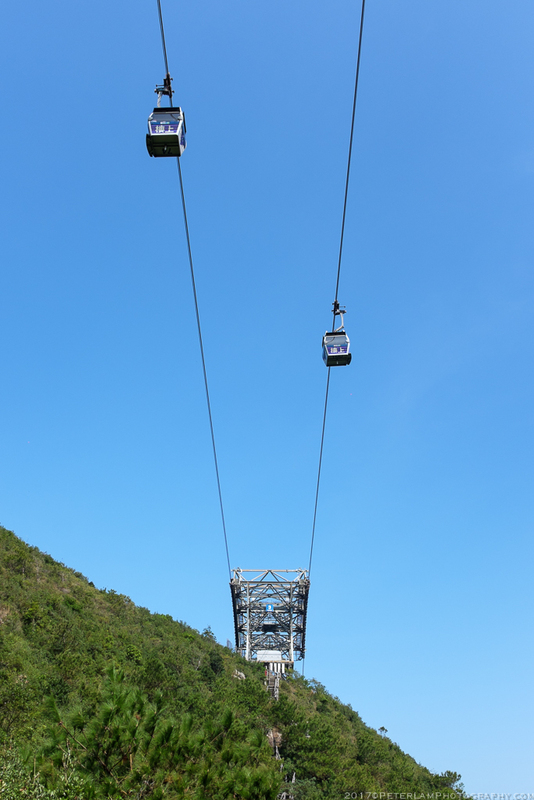 Getting to the tourist village from Tung Chung is relatively easy by bus or taxi, or by hopping on the Ngong Ping 360 scenic cable car ride. 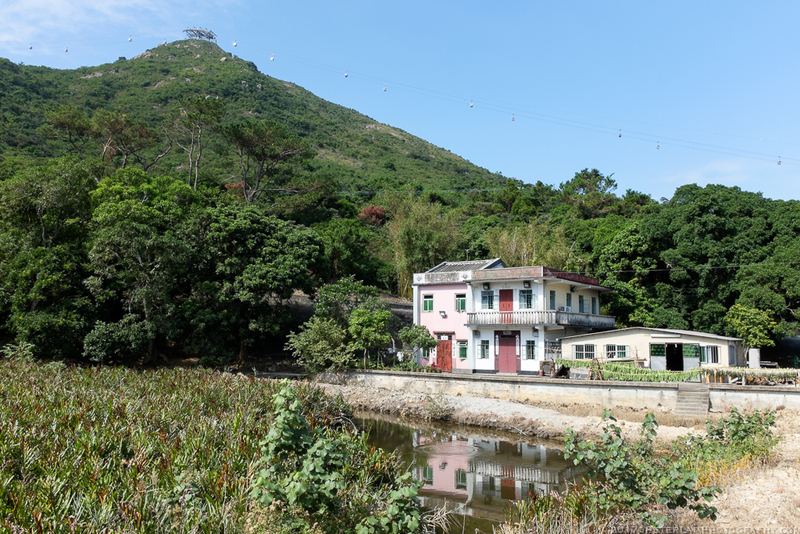 However, there is a third way, which is entirely free: by foot, following the rescue trail that was built as part of the cable car infrastructure. 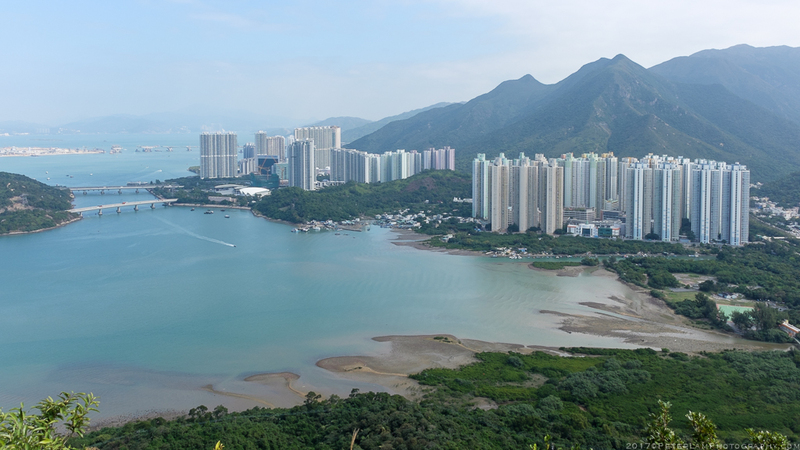 Expansive views of Tung Chung Bay. 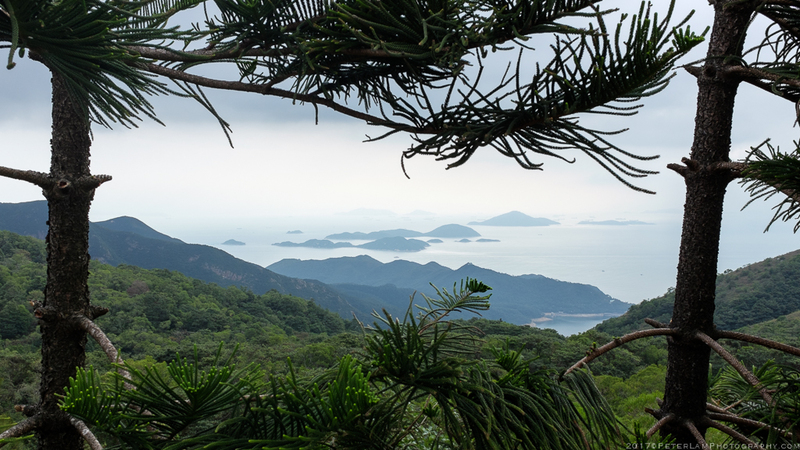 I walked this trail a few years ago, but when my Canadian friends recently visited Hong Kong, it was a perfect opportunity to revisit this hike. 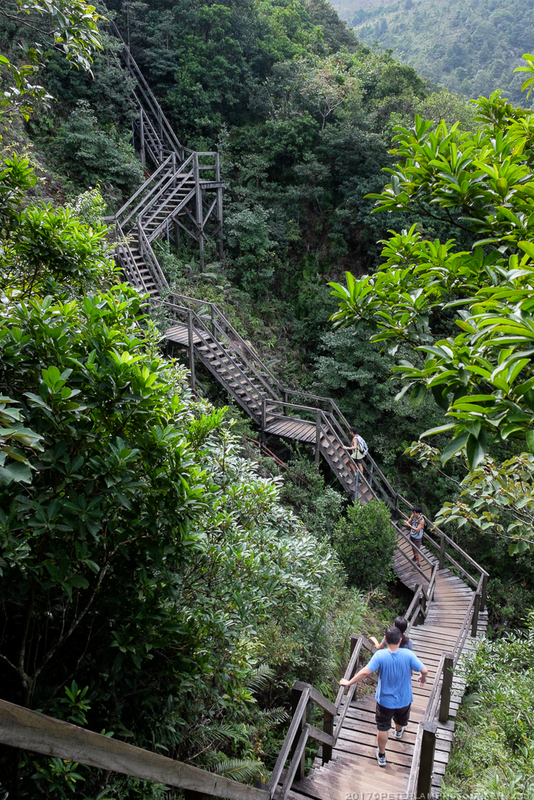 Despite being paved, this is no “family walk” – the seemingly endless steps and staircases make for a pretty challenging hike, especially in hot weather. It is, however, one of the more unusual hikes around, and fun to wave at the (often flabbergasted) gondola passengers above you. 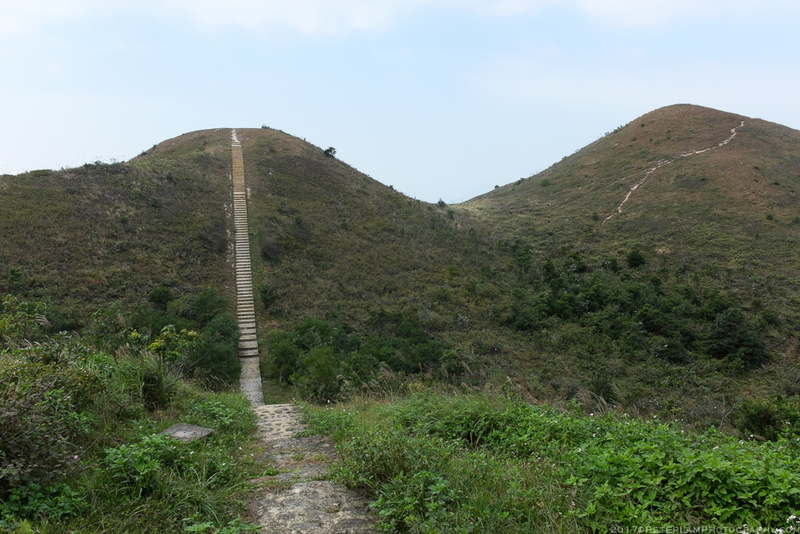 Total distance hiked is about 8km, but the rescue trail itself is 6km long. 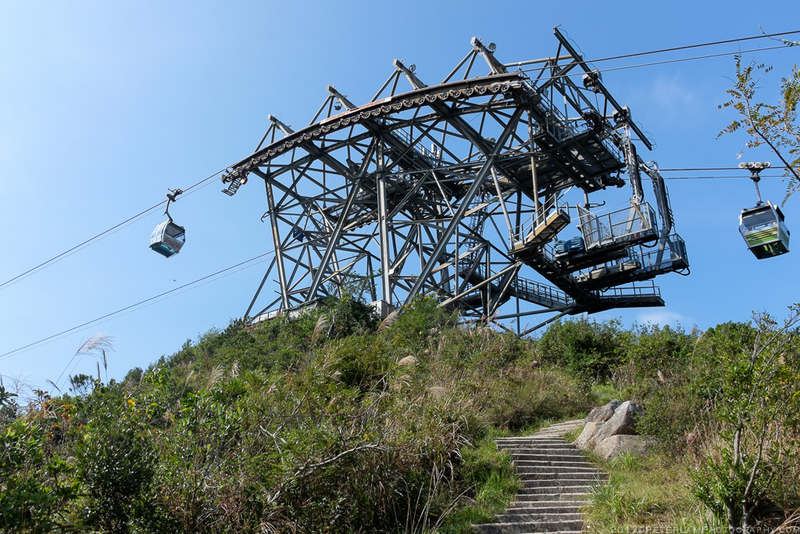 The first section of the cable car spans from the terminus near the Tung Chung MTR station to a tower perched on a hill high above Tung Chung Bay. 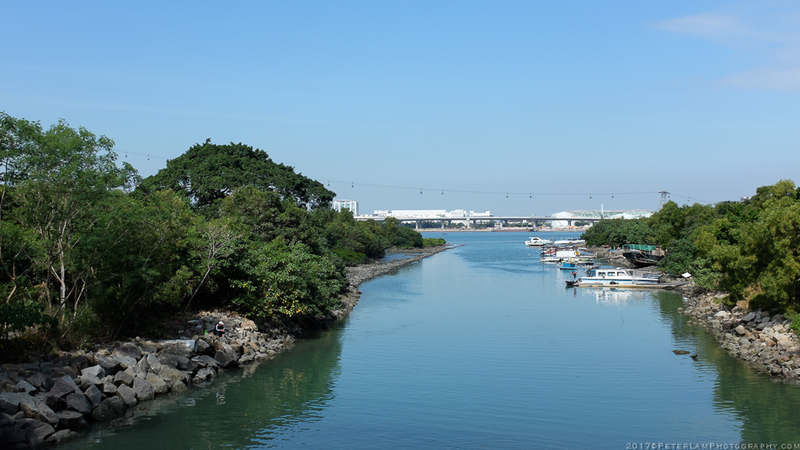 To get to the trailhead, you’ll need to walk around the bay via Yat Tung Estate, initially following the route of the Tung O Ancient Trail. 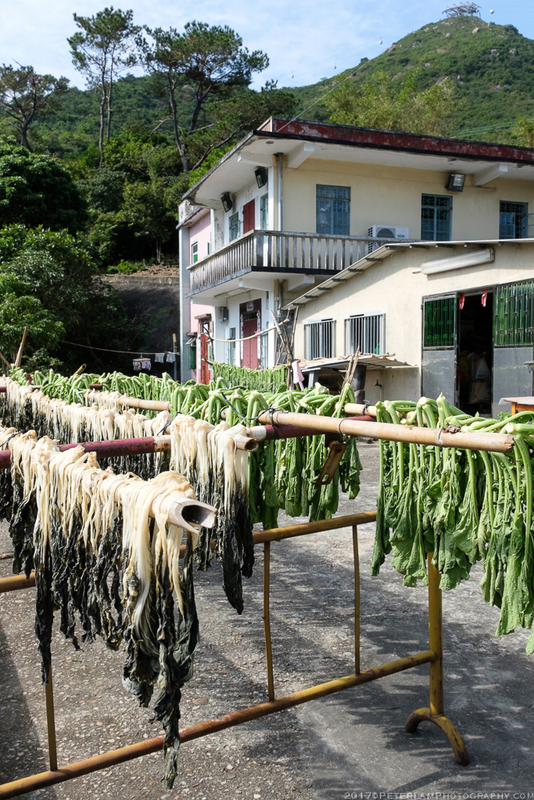 Along the way, enjoy your increasingly tranquil surroundings as you leave the hustle and bustle of Tung Chung behind you. Crossing a stream next to Yat Tung Estate. 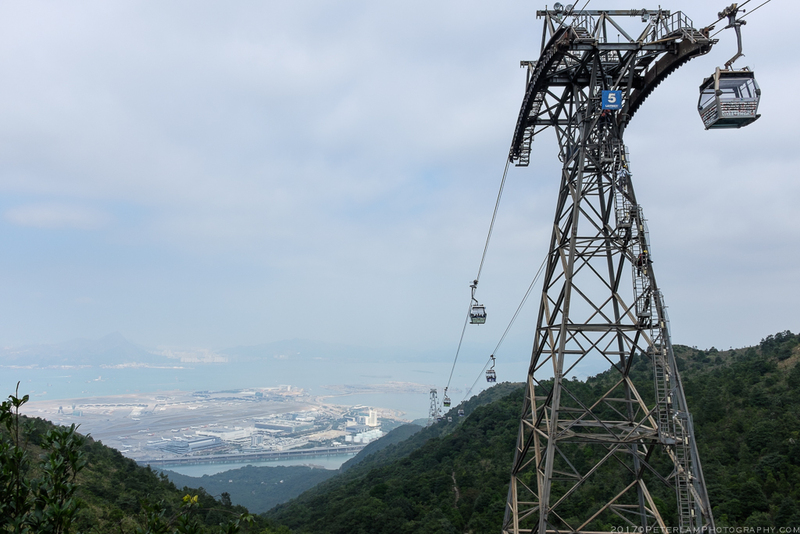 The cable car and Hong Kong International Airport in the distance. The first hill (Tower 3) in background. Yeah, you’re going up there. 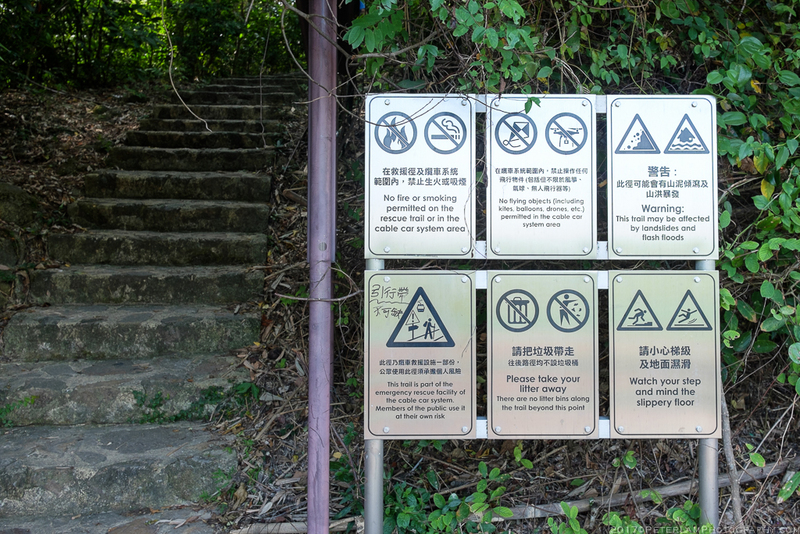 Eventually you will reach the trailhead, marked with Ngong Ping 360 Rescue Trail signage and the requisite warnings of danger and proceeding at your own risk. 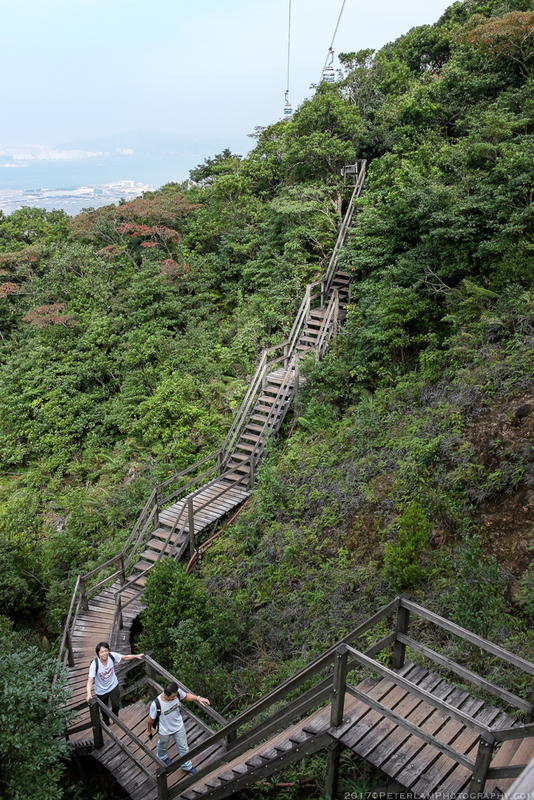 Here the steps lead to a seemingly endless path up to the first tower (Tower 3), about 280m above Tung Chung Bay. Be warned, much of the climb is unshaded, so bring a hat and sunscreen – we had neither! 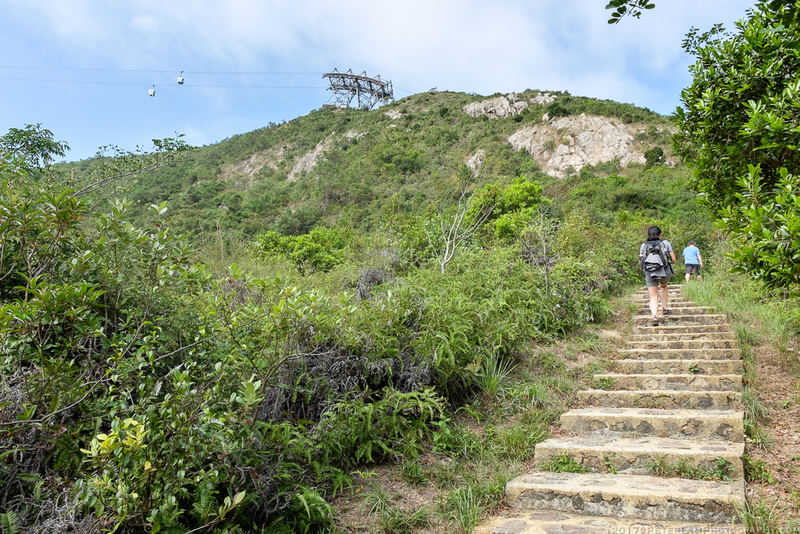 The beginning (or end, depend on which way you’re headed) of the Ngong Ping 360 Rescue Trail. 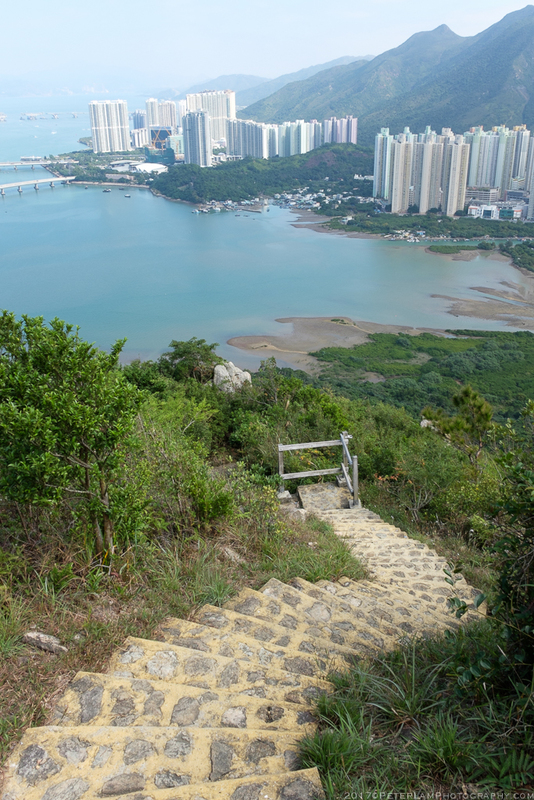 As you begin your ascent, Tung Chung Bay comes into view. 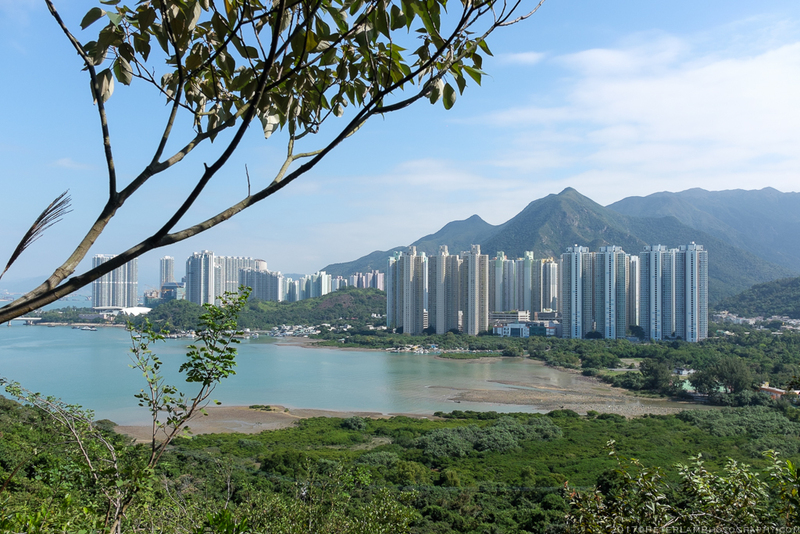 Yat Tung Estate and Tung Chung New Town in the back. Lots of steps up to the first tower, and very little shade. Looking back at our progress. Still a ways to go. Finally Tower 3 is within reach. Reaching Tower 3, just as you thought the worst was over, you realize there is plenty more ahead. Tower 4 is a small dot on the horizon, and you’ll need to cross a deep valley to get there, but at least there is some shade on the trail. On a clear day, the views of the airport and surrounding hills are excellent. On some steep sections, staircases and boardwalks have been constructed. Tower 4 is so far away, you can hardly see it! Looking back at gondolas high above us as we make our way towards Tower 4. One section is particularly steep, with some impressive staircase construction. Probably my favorite stretch on the whole trail. 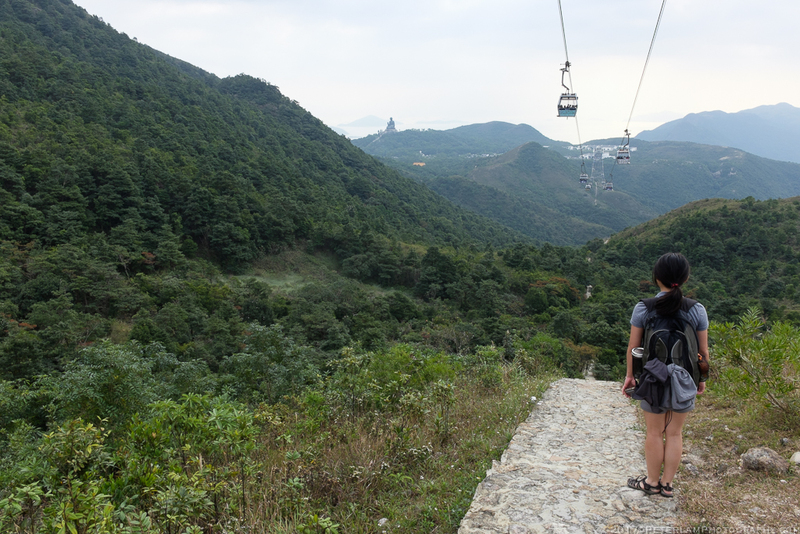 At Tower 5, the end is within sight – after covering half the trail, you can now see the Big Buddha in the distance. This is much needed encouragement! 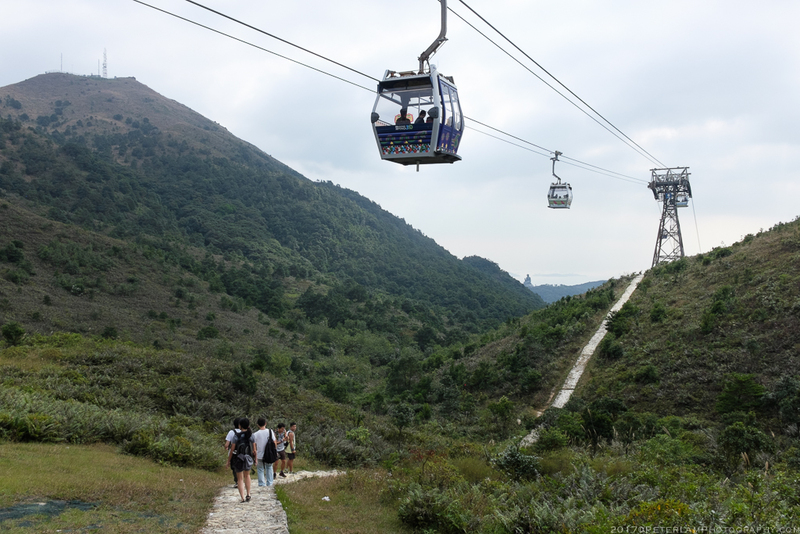 Here the path leaves the track of the cable cars and follows a portion of the Lantau Trail, tracing the base of Nei Lak Shan mountain. Most of it is level, and every so often tantalizing views of the Buddha appear over the hills. This side trail leads to a helipad near one of the towers. 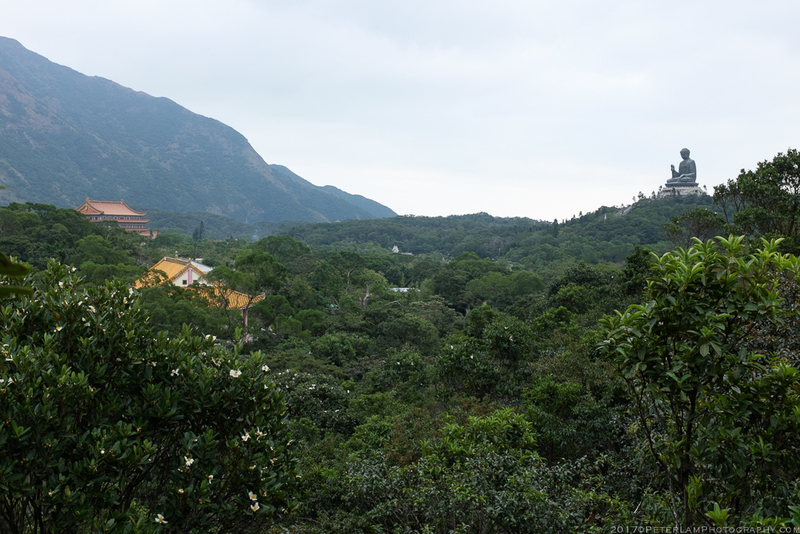 Finally, the Big Buddha is in sight, but don’t be fooled… Still a fair distance before the end. Emily contemplating the work ahead. 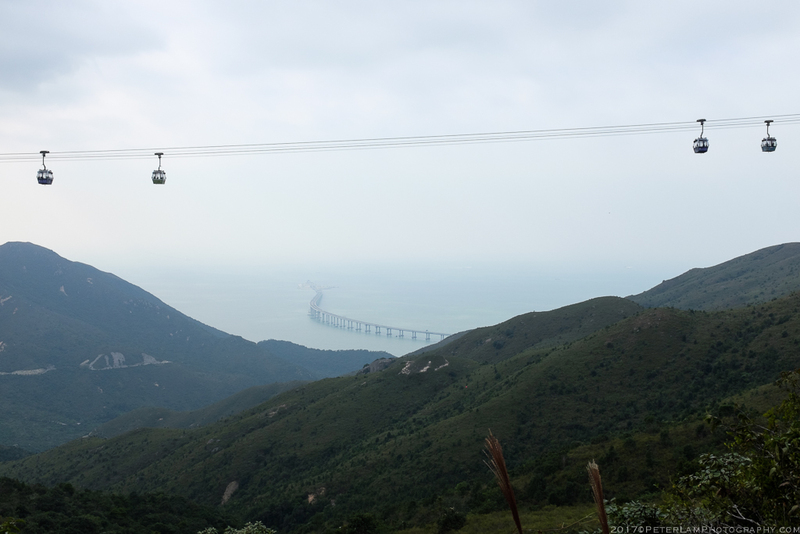 The new Hong Kong-Macau-Zhuhai bridge and subsea tunnel is visible off the island. Getting closer! Po Lin Monastery is now visible too. 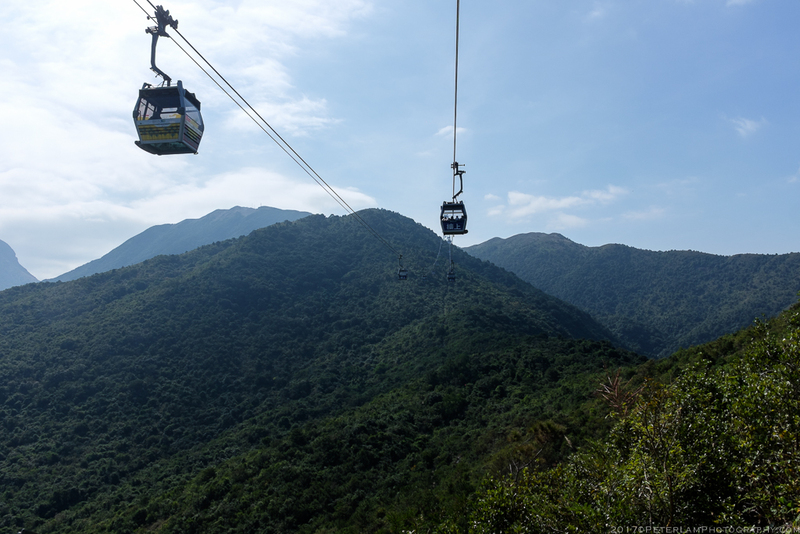 Ahh finally at the cable car terminus at Ngong Ping. Job well done! 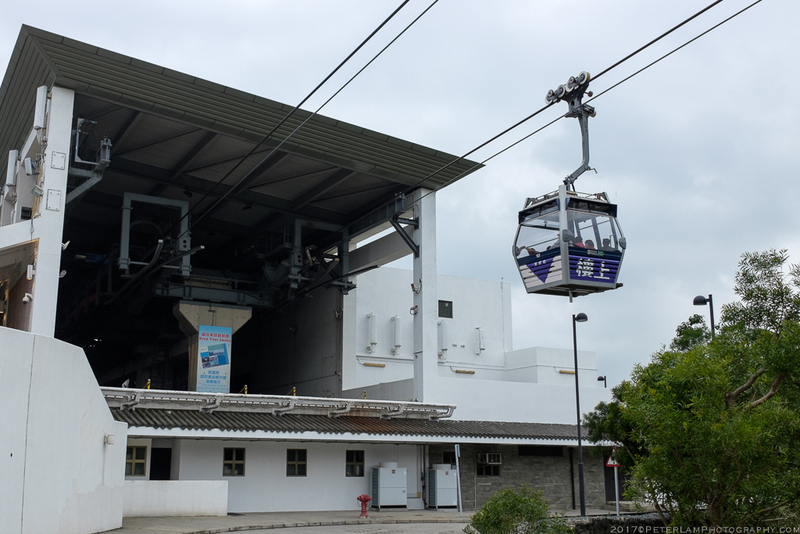 Three hours later and with legs of Jell-O, we finally reach the cable car terminus at Ngong Ping – and throngs of tourists. After a hugely satisfying snack break, we make our final climb of the day: the 268 steps up to the 34 meter tall bronze Tian Tan Buddha. Be happy and proud knowing you took the harder way to enlightenment! Lots of people at the plateau. On weekends, it’s complete madness. 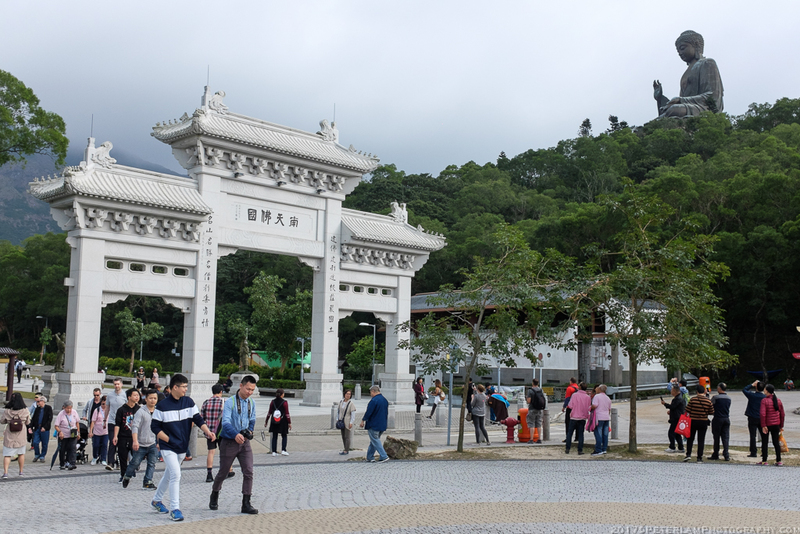 Ngong Ping Village is a huge tourist attraction. 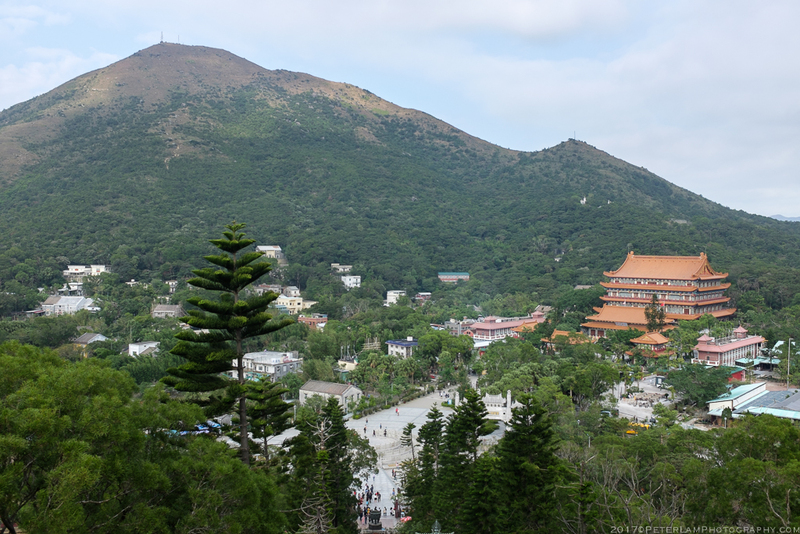 Ngong Ping plateau, Po Lin Monastery, and Nei Lak Shan mountain. Our destination. The giant bronze Big Buddha. 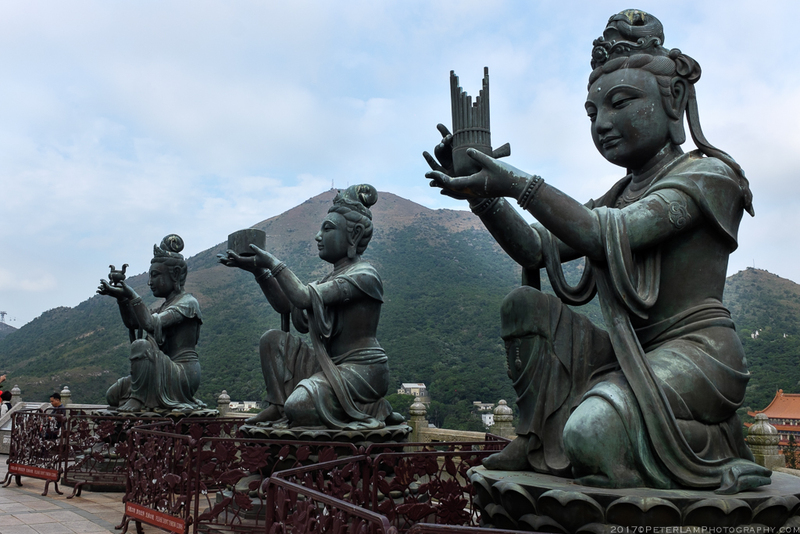 Offerings to the Tian Tan Buddha. Nice views to the south of the island. 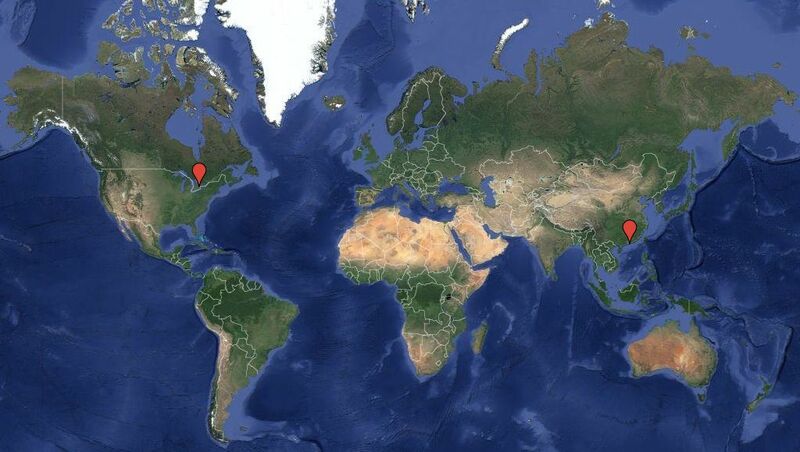 I have a 10-hour layover coming up in the next few weeks, and I really want to take this hike. Is it safe for solo female travelers to take this hike? Yes it is perfectly safe, you’ll have plenty of company from the people in the cable cars above you! Good luck!